Prices will rise in 2014. They always do. But prices shouldn't climb too much overall, barring any surprising developments that put the U.S. economy into shock. Inflation is low, at 1.2 percent, according to the most recent calculations from the Bureau of Labor Statistics. Still, if all goes as expected, some things will cost more than others in 2014. So which items might give you sticker shock? To prepare your budget, here's a rundown of things that will likely be more costly in 2014 than they were in 2013. Food. 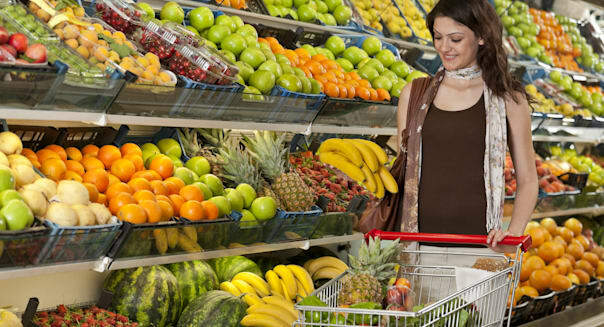 The U.S. Department of Agriculture predicts that food prices overall will rise about 3 percent in 2014. But some items on the menu -- chocolate, beef, bread and cereal -- will climb considerably higher. Why the rise in prices? "Demand is skyrocketing to the point that it outstrips supply," says Michael Levin, assistant professor of marketing at Otterbein University in Westerville, Ohio. He is referring to a cocoa shortage, which caused chocolate prices to creep higher in 2013 over 2012. Some experts are suggesting prices could climb as high as 26 percent in 2014. "Consumers can expect to pay higher prices for middle and higher premium labels. It will be interesting if mass brands such as M&M's, Hershey's and Snickers pass along those costs," Levin says. Beef prices for consumers have also been predicted to climb 3 to 6 percent because there is currently more demand than supply. The USDA has suggested that an increase in the cost of wheat and wheat flour may cause bread and cereal prices to rise in the supermarket in 2014, possibly 4 to 5 percent higher than in 2013. Clothing. Here's your excuse to shop. According to Kristina Michniak, a global apparel manager at Spreadshirt, an e-commerce platform for individuals and companies to sell and buy T-shirts, cotton-based products will likely increase by 5 to 8 percent in 2014. Why the rise in prices? Blame it on expected unfavorable crop conditions and the need to use the fields for other crops, according to Michniak. She also thinks that simply anticipating the increase of prices will have a psychological effect on manufacturers, many of whom will raise their clothing prices in 2014 regardless. Houses. This is good or bad news, depending whether you're a seller or a buyer. "Home prices are on the rise and should continue the upward trend due to the previous downturn over the past several years," says George Cook, executive professor at the Simon Graduate School of Business at the University of Rochester in Rochester, N.Y.
Why the rise in prices? "Interest rates still remain very favorable and new builds are picking up steam," Cook says. "The demand for both new and previously owned homes should accelerate rather quickly and increase prices along with it. There is some consumer optimism about the current economy, which will also encourage new buyers into the housing market. No doubt consumers have been holding off on home purchases until they see more positive signs in the economy. This looks like it could be the beginning of the uptick in home purchases, and prices will undoubtedly reach higher levels." How much higher is hard to say since housing markets differ vastly from state to state, but in the past year, home prices nationwide increased 10.9 percent, according to Clear Capital, which provides real estate data and analysis. Automobiles. From 2012 to 2013, new-car prices, on average, climbed 1.1 percent, according to the auto industry research company Kelley Blue Book. Prices should rise at least that much in 2014 and possibly more. Why the rise in prices? "It is estimated that there are 57 new looks that the auto industry will be unveiling. Those new looks drive up prices," Cook says. "And with the demand now catching up with the supply, you'll see fewer consumer incentives, which will result in bottom-line higher prices for most new vehicle purchases." But it isn't all bad news when it comes to cars. According to the U.S. Energy Information Administration, the cost of gas is expected to decrease in 2014, averaging $3.43 a gallon, just seven cents less than the average cost of fuel at the pump in 2013. Gasbuddy.com, a website that helps consumers find cheap gas, is predicting even less expensive fill-ups at $3.40 a gallon in 2014. Pay TV. Cable television has hiked its rates considerably in recent years: According to The Wall Street Journal, the average cable bill jumped from $48 in 2001 to $128 a month in 2011. Expect satellite TV, which has been increasing prices around this time each year for some time, to start off 2014 with higher prices. Both DirecTV and Dish Network are raising their service fees; prices vary depending on the company and packages, but between mid-January and early February, customers can expect to pay about $2 to $5 more a month. Why the rise in prices? Numerous factors are at play, but most analysts blame it on the rising cost of content. The networks charge the cable companies for the cost of programming, and that cost is passed onto the consumer. %VIRTUAL-article-sponsoredlinks%Stamps. As you've likely heard, the price of a first-class stamp will rise three cents on Jan. 26, bringing the cost of mailing a letter to 49 cents. This is a temporary price hike, designed to last two years, and Forever Stamps can be purchased at 46 cents until Jan. 25. Why the rise in prices? The upward march of stamp prices isn't being blamed on fewer consumers using regular postal mail -- although that doesn't help. Rather, the Postal Regulatory Commission approved the believed-to-be temporary increase to help offset $2.8 billion in losses the U.S. Postal Service has taken, stemming from the 2008 recession. It can be depressing to see prices climbing -- especially for those who are cash-crunched or nostalgic for $1-a-gallon gas and 22 cent stamps. But keep in mind that it is actually a good thing for the economy if prices rise -- somewhat. "The benefit of increasing prices is that they encourage spending and economic growth. People are motivated to buy now, otherwise they may have to pay more for the same goods later. The companies selling these goods can then give more people jobs, and the virtuous circle continues," says Gemma Godfrey, the head of investment strategy at Brooks Macdonald Asset Management Ltd., based in London. But if the idea of higher prices helping the economy doesn't cheer you up, you could do something fun to take your mind off your troubles, like go see a movie. But perhaps you should go soon. Last summer, filmmaker George Lucas theorized to an audience at the University of Southern California's School of Cinematic Arts that the day might not be so far away when people go to a movie theater and pay $50 for a ticket.